I'm finally getting back into the swing of drawing and making things. I guess moving from one state to another kind of jumbled up that part of my brain. 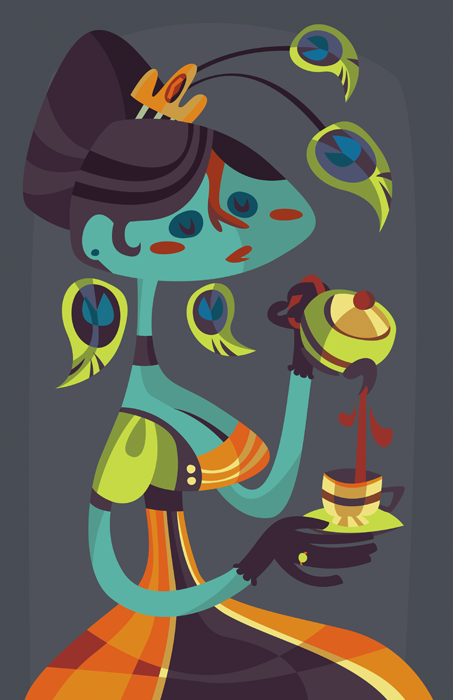 I'm messing with using more colors, not staying so completely flat and limited in terms of my palate. Play time. Ooh, I'm quite fond of the color choices.